Magna says the joint venture with GAC Component Co. Ltd. will meet the needs of a growing utility vehicle market in China. Canadian parts giant Magna International has entered into a joint venture with a subsidiary of China’s Guangzhou Automobile Group (GAC) to begin production of composite liftgates for a global automaker's crossover vehicle starting in China in late 2018. Financial terms of the deal were not disclosed and neither was the name of the vehicle or automaker the new venture will supply. The joint venture will work out of a new 55,900 square-foot (5,195 square-metre) facility located in Changsha, China, with an estimated 116 employees at the start. "We're seeing tremendous demand for advanced material innovations as manufacturers pursue all opportunities to take weight out of vehicles to meet emissions requirements," said Magna Exteriors President Grahame Burrow. He said the joint venture also ”provides great opportunities for future growth in liftgates and other lightweight exterior products going forward." 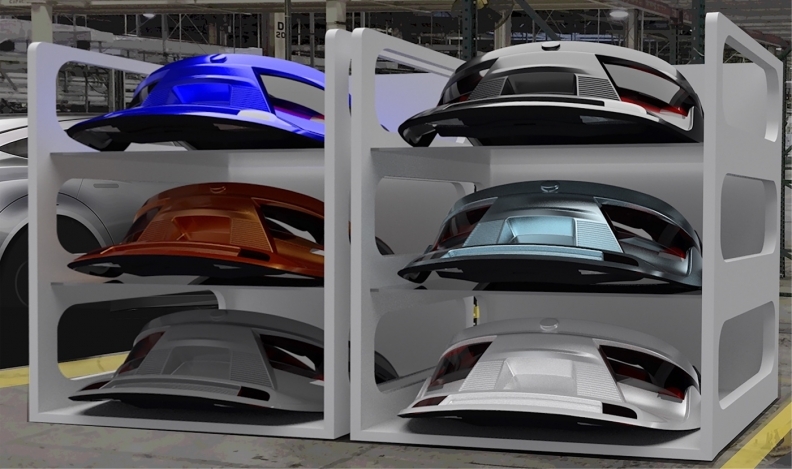 The composite liftgates will be lightweight and fully recyclable and can achieve up to 25 per cent mass savings over steel versions, Magna said. Composite materials allow for greater design flexibility with deeper draws and tighter radii, the company said. Magna also said its full-system assembly and delivery approach include reduced complexity of the total liftgate module, lower tooling investment and increased throughput at the assembly plant. With the addition of this JV facility, Magna now expands to 50 facilities in China with more than 22,700 employees. It’s at least the third Chinese partnership announced by Magna this year. It is also expanding its presence in Asia through a joint venture in China with Hasco (Huayu Automotive Systems Co.) to expand electric powertrain offerings in the country. And the Canadian parts giant has a deal to supply aluminum front sub-frames and rear cradles, gearboxes and door- and hood-latching systems for the ES8 utility vehicle by Chinese start-up NIO.